This journal features the iconic rug from the movie The Big Lebowski. 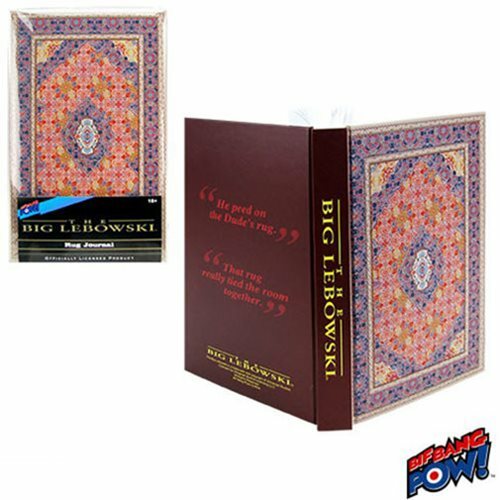 The Big Lebowski The Rug Journal from Bif Bang Pow! is a great place to write down all your crazy dreams and acid flashbacks. Measuring 8-inches tall x 5-inches wide and containing 320 lined white pages, this terrific journal features cardboard hardcovers with an image of the rug on the front. The back features two classic quotes from the movie, "He peed on the Dude's rug." and "That rug really tied the room together." Ages 18 and up.